I had a really sad phone conversation yesterday. 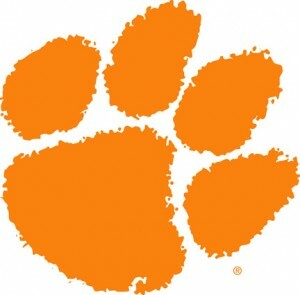 I spoke with a good friend and found out that they were getting ready to announce the cutting of the swimming programs and men’s diving programs at my Alma Mater, Clemson University. Usually when I hear about the cutting of sports teams at a division I school, it involves the well meaning, but horribly thought through and enforced Title 9, or gender equity. Not this time. It seems that Clemson is an equal opportunity dream killer as they have cut both men’s and women’s programs. No, this was a performance/money issue. It seems that the school didn’t want to spend the tens of millions to build a first class natatorium, and they knew that without it, the team couldn’t compete at the level that is expected at Clemson. So, they decided to punt. Let me go on the record by saying that I have literally shed blood, sweat and tears for my school while I swam there, and there are few things closer to my heart than Clemson. Heck, I was almost late for the start of the Hawaiian Ironman so I could catch College Gameday on tv at 4am (Hawaii time) when they came to town for the Georgia Tech game a few years ago. So its pretty safe to assume that I’m pretty pissed at my school right now. Is this over? I seriously doubt it. There are some pretty successful people that came out of the Clemson Swimming and Diving programs, so I wouldn’t be surprised if an effort is made to save the teams. We have two years to fix the problem after all. I would ask this though. If you are a Clemson Alum that donates to IPTAY or just a swimmer who’s tired of teams and dreams getting cut, let Clemson know what you think. Right now I don’t plan on writing anymore checks to my school unless they come to a different conclusion. It saddens me to think that all that was accomplished, all the work, all the history, all the traditions, all the family members known as the Clemson Swimming and Diving Team, will simply be a page in the history books of such a fine university. Maybe Clemson will change their mind now that the ACC has inked a new television contract with ESPN which will earn each ACC school about 5 million more a year than they were earning in previous years. Kind of shocking to hear that news since swimming and diving is so strong in the ACC.